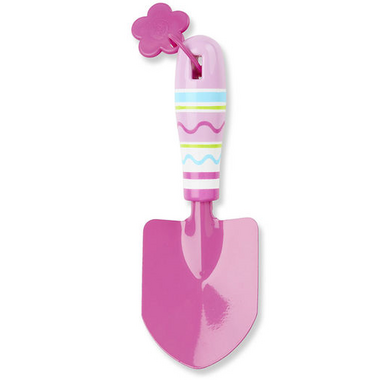 Kids will really "dig" gardening with this sweet and durable, child-sized trowel for kids three and older. A sturdy metal scoop, a cheerful flower design, and bright colors on the easy-clean handle make gardening activities exciting and enjoyable! Stores neatly with a handy loop for hanging.